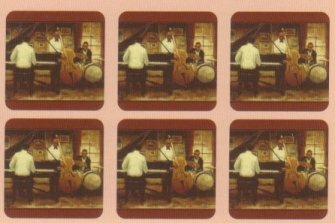 Protect your table tops with these fine and enduring coasters with a Jazz theme. Lovely gift for Jazz Lovers' homes. They measure 4.25" square. Discontinued by the manufacturer, we have one set left in stock!